Leyla Güven, HDP MP for the Kurdish region of Hakkari in the far south-east of Turkey is a politician who has played an active role in the Kurdish political movement and dedicated most of her life to human rights and women’s struggle. 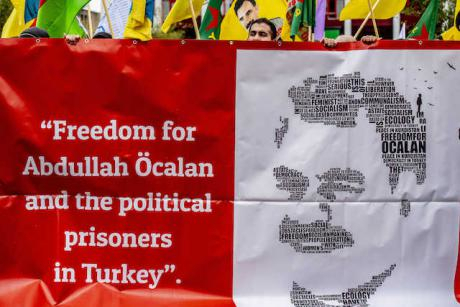 She has been on an indefinite hunger strike since 8 November 2018. In 2009, when she became the mayor of Viranşehir in Urfa, she was arrested, and spent five years in prison. When Güven spoke out against AKP government operations against the Afrin canton of Rojava, she was again arrested on January 31 2018 on charges of “establishing and leading a terrorist organization”, and faces up to 31 years and 6 months in prison.